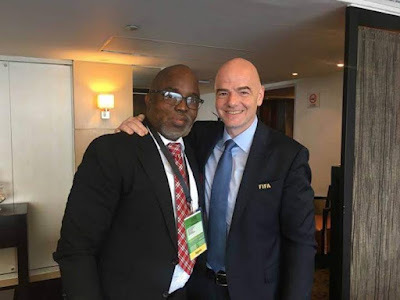 World football governing body, FIFA, has agreed to dole out some much needed cash the way of the Nigeria Football Federation to help with sports development in the country. Under the aegis of the 'FIFA Forward Football Development program', FIFA has agreed to 'significantly increase their financial support for member associations and football development to 5million US dollars per 4year cycle for each member association from 1.6million dollars per cycle. According to FIFA, the NFF and other associations will now receive $750,000 per year for football projects such as competitions, pitches, and women's football development. Every association will also receive $500,000 per year for running costs in areas such as administration and governance. Football confederations such as CAF, UEFA etc will now also receive $40m per four year cycle .